3. Shifter Bezel Light Bulb 2 Styles to Choose From! For your 1968 1969 1970 1971 1972 Chevelle model. 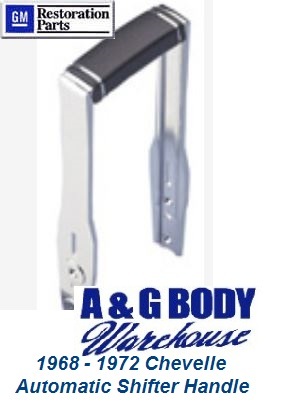 This is a new chrome plated die cast reproduction of the original horseshoe automatic floor shifter handle. Includes correct grained black handle cover with silver Mylar accent bands. This is the actual handle only, does not include the pull up assembly..
1978 - 1981 Dash Cap Monte Carlo El Camino Malibu Many Colors Available!